We'll next stop in the town of Arezzo (made famous by the movie "Life is Beautiful" by Roberto Benigni) to explore. Even though the medieval center was destroyed during World War II, Arezzo still has a beautiful piazza and many historical buildings and churches as well as a Roman Amphitheater and the remains of a fortress. Enjoy a welcome cocktail upon arrival at our accommodations and meet the villa owner for an orientation meeting and check in. Settle in to unpack, relax or stroll around the property. After a leisurely breakfast at our accommodations, we will head off to meet our chef who will guide us through our half-day cooking lesson. 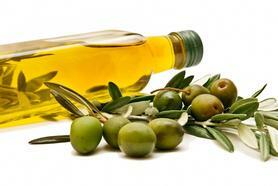 We'll learn to make all sorts of Italian specialties, from antipasti to dolce. The menu will be determined by the season and what is fresh in the garden and the market. 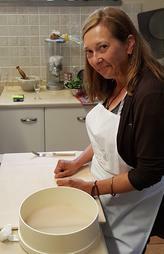 Following our lesson, where I guarantee there will be plenty of laughs and wine, our lunch will be all the delicious dishes that we have produced. If there is time, we will then make our way to Lago di Trasimeno, a lake in the province of Perugia, in the Umbria region of Italy. The first civilization to inhabit this area was the Etruscans; three of the main Etruscan cities - Perugia, Chiusi, and Cortona - are within 12 miles of the lake. Along the way, we should be seeing fields and fields of Sunflowers, as now is the season! 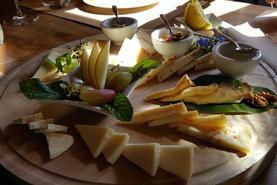 We'll first stop in Pienza, famous for its Pecorino cheese, and have a tasting. After lunch, it's off to the steeply sloped town of Montepulciano where you can wander the streets, stop at shops, churches and town squares. 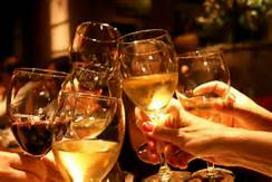 After breakfast, we'll depart to the Chianti region – an area of Tuscany made famous by the red wine of the same name. We'll visit some quaint villages, have lunch on a local farm and sample some wine. 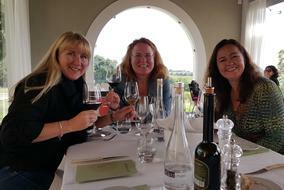 What else would you do in Chianti? And since we are in Italy, we'll stop for some famous gelato! ​After breakfast at the villa, we head out to a full day excursion to Siena, a perfectly preserved medieval town set amid the olive groves and the vineyards of Chianti. This charming town is a UNESCO world heritage site and is famous for its piazza, museums, cuisine and “The Palio”, a horse race which is run right through the middle of town twice a year. 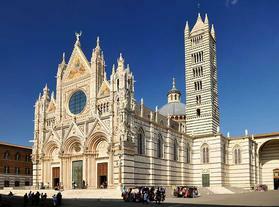 Built on three hills, Siena's center is lined with narrow, winding cobblestone passages and steep steps. The superb 12th-century Cathedral, constructed of alternating stripes of green and white marble, is one of Italy's most impressive creations. We'll first enjoy a guided walking tour and then have the remainder of the day at leisure to meander through the shops and narrow streets of Siena, or relax in an outdoor café on the Piazza del Campo, your window to traditional Sienese life. ​​ Sleep in this morning if you would like but don't forget about breakfast. Enjoy the morning at leisure at the villa. This morning is all about relaxing and making ourselves at home at our farmhouse. You may choose to take a dip in the pool, go for a walk, or simply hang out and read a good book. Lunch on your own and then this afternoon, we're off to the thermal spas (or Terme in Italian)! 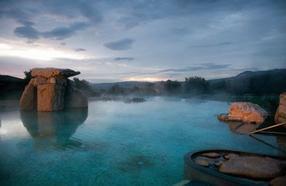 Tuscany is rich in natural hot springs that bubble out of the ground filled with minerals and the heat of the earth. The springs have been used for their curative properties since the time of the Romans, who believed that the sulfurous water came from Hades, the underworld. The warm waters come from deep, underground, volcanic springs and boasts curative properties first discovered by the Etruscans. Time spent there is beneficial to the regeneration of body and soul. Feel your stress be soothed away as the warm mineral water relaxes you. Spa treatments are not included. Morning departure for Cortona after breakfast at our villa. Cortona, which has its roots in Etruscan history, is a quiet and romantic town nestled in the beautiful hills of the Val di Chiana in the province of Arezzo. 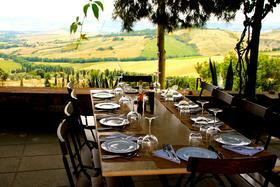 It was made famous by Frances Mayes’ book & movie “Under the Tuscan Sun”. Today is market day in Cortona: See how the local’s shop for their weekly necessities; from fruits and vegetables to cheese, meats, housewares and even clothing. After, we'll visit a beautiful and completely organic winery for a guided tour of their vineyards and cellar. We will learn the interesting methods that this winery uses: both in their sustainable farming methods and in their biodynamic approach to their vineyards. Our tour will be followed by a fabulous wine-pairing lunch situated in beautiful surroundings with views of the vineyards, valley and hills. Today is a about La Dolce Vita - the Sweet Life. This morning you can sleep in or get up with the sunrise, it's your decision. After a leisurely breakfast, we're going to head out to an area of Tuscany that is off-the-beaten path. We'll visit an ancient olive oil mill that has been in the same family since the late 1400’s with a tour, tasting & lunch with the owner’s family. Here you will see that they still crush the olives with an old stone wheel. After our visit, we will stop at a nearby small medieval village, where you can shop, visit local artisans, or stop and smell the caffè in neighborhood bar.